Simar Malhotra who is also an environmental specialist, plans and executes strategies to spread awareness, has a keen penchant for social causes. Her boundless energy and managerial skills make her an excellent leader. She is a take-charge person, a rare combination of a thinker, talker and doer. 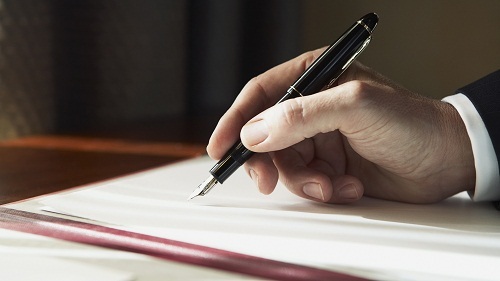 A cogent writer, Simar not only communicates with her ideas but also generates them. Her penultimate aim is to work in the public sector for the welfare of the society, generate ecological consciousness and pursue her passion for writing. 8th grader Ishan is a computer genius and co-founder of Parvaah. The youngest team member of Parvaah pronounces to spread awareness amongst his school and hostel mates and thus increasing the volunteer network of Parvaah. The aura of commitment that he carries around him and his penchant for social causes makes him take quick actions. She has the ability to cross everyone who doubts her determination is creating a change in the world. A magnetic personality, reflecting charisma and confidence- Nishtha Nanda has a desire to change the world. From planting trees around her neighborhood as a child, she continues to carry the spark for a greener India. Heading several drives of cleaner India and serving the underprivileged, she is destined to change many mindsets and show the world what it is to ‘Parvaah’. She may be little in size, but has the mind of a genius. When it comes to logical reasoning and explanations, Aditi is the go-to person for everyone. Having immense faith in religion and Hinduism, she has always been taught the lessons of karma, para upkaar and Daan and Parvaah gave her the ideal opportunity to do so and give back to the society. Suhani Garg is a young entrepreneur, who started her jewelry brand ‘Azuriaa’ when she was 16. Besides her entrepreneurial skills, she is also inclined towards painting and sports. Her boundless energy and managerial skills make her a leader. Her communication skills enable her to organize and run events smoothly. She shares a passion for social work and believes in women empowerment. Therefore, Parvaah provides her with a platform to educate and support women all around Rajasthan. Suhani has been an integral part of Parvaah and wishes to expand its reach to every village, town and city in India. Aaryan, an aspiring engineer, is keen on not just changing the world in the field of science and technology but also contributing in conserving Mother Earth. He believes that everyone has a special talent within themselves, which could be utilised in making a considerable change to the society. The overwhelming problems of deforestation, malnutrition, and global warming drive Aaryan into being a part of numerous environmental initiatives and he wishes to further encourage people into joining him in making a change for the better. Known for her amazing personality and an impeccable talent for making friends, Nakshatra Panicker is definitely one of the friendliest people around. She has made environment her bestest friend. Always willing to lend a helping hand for the betterment of the environment is the reason we are proud to call her our Charge D’ Affaire. Being a part of various NGO drives and with a vigour to change the world Nakshatra Panicker is an active member of Parvaah. She is a born achiever, an epitome of confidence, and an exceptional communicator. She, although in possession of extraordinary talent, stays true to her roots, and is friendly and approachable to the core. She believes that no matter how much we progress in terms of education, politics, technology we should always make contribution and give back to our society. With that thought we present to you, Khushi Mehra. Shreeum’s enthusiasm and energy never fall short. Whether it be in the classroom or in Parvaah events, Shreeum is often the first to take initiative. Diligent and passionate and never afraid of a challenge, Shreeum helps Parvaah recruit volunteers who share her optimism and energy. With her powerful words, whether it be through her music or through her pen, she always manages to keep the team motivated and inspired to do more for the society. A perfectionist and a visionary, is what he is. He is the master of all trades, and forges his path towards being the best at what he does. He can successfully find his way around any obstacle, with his quick sense of wit and cunningness, and can baffle anyone anytime he wants. His smartness is what he thrives upon. Other than this he has immense faith in karma and believes in giving back to the society. Our silent worker, Paarth Chopra, not only believes that a little kindness goes a long way but is also a champion when it comes to finding joy in the usually insignificant things.This positive and constantly beaming personality helps us sail through difficult times.His unique approach towards finding solutions to all problems, be it a mathematical question or something as alarming as poverty, makes him the perfect fit for team parvaah. He not only understands the true essence of Parvaah but actively voices the need for change in today's world.He knows the worth of practicing everything he preaches, and shows his dedication to team Parvaah through each initiative taken by him. Rehan is a student studying in class 12. He believes in the motto “Helping others is the way we help ourselves” and makes sure that everyone around him has a smile on their faces. Rehan is extremely dedicated to make the world a better place and is always ready to go the extra mile for it. Harleen Kaur is an exemplary embodiment of intelligence and determination. She is also an achiever and succeeds in everything she sets her mind to, be it solving complex math problems or saving the environment. Along with the ability to excel in every field, she possesses the quality of humbleness and compassion. Being an active member of Parvaah, Harleen dedicates her time and energy in spearheading various campaigns initiated by the NGO. Student. Technologist. Problem solver. Kush is a 17-year-old student studying at JPIS. A die-hard Manchester united fan, he worships football. However, his personality goes beyond books and the field. He is actively involved in community service projects in and around his city. His path intersected with Parvaah’s four years ago when he volunteered for the first time. Ever since, he has been playing active roles in all Parvaah campaigns. Vocal about his ideas, Kush strives for equality in this world. Walking on the path of creativity and passion Bhavya is a budding artist and musician who's hobby is not only his fervour but his source to express himself and reach others. This young man wins the hearts of people through his dedication to making the world a better place. His zeal for his work doesn't end here. His teaching skills and his mission to help the underprivileged is the reason he's a part of this organisation. He looks at lifting parvaah to newer heights and ensuring a bright future for it with his skills and vigour. Believing that females play a major role in the development of the world and society vinayak who is a strong supporter of gender equality believes that till females aren't given their rights and treated equal the world can't move one. With his creative skills of writing poetry and acting he always fights against different social issues. He takes initiatives in spreading awareness through his creative ideas. He serves Parvaah with a clear motive of change the society's 'nazaariya' towards these issues. A sportsperson at heart, an artist by choice and a leader by nature, Sukriti knows how to light up a room when she walks in. An amiable, patient and gregarious person, she uses creativity and persistence in equal measures. She strives to drive collaboration amongst peers to achieve environmentally conscious and socially relevant goals. She is a second-year undergraduate student studying at Ashoka University who is majoring in Economics and Finance. She is always looking for new ways to give back to society and has been constantly working with underprivileged children in the field of education. Conscientious and kind, she strives to leave a positive change wherever she goes. She channels her passion for social causes through Parvaah and is doing whatever she can for the betterment of society. Tarini is logical and analytical with a strong moral compass which helps her make the decision best for everyone. Bubbly and charming, Samiksha always manages to brighten up the room with her presence. With remarkable social skills and a huge contact list she is just the right individual for Sponsorship Head. But her talents go beyond communication, into the realms of art and creativity, deeming her the perfect fit to be on Parvaah's team. "Kill them with success and bury them with a smile" is her motto. "Who needs weapons when one has the power of words literally at the tip of one's tongue ?" is her belief. Joining Parvaah with a single minded goal to make a change in the society comes Priyan Khalsa. She loves books, and likes debating even more. She comes to Parvaah to show the being kind and having courage are the only things needed to make a difference , to leave a mark ... Her ambition and her drive to succeed add on to this year's team of Parvaah. Being a people's person, Sameera promises diligence and passion. Her versatility and commitment to a better future helps Paravah recruit volunteers who share the same vision as her. With her powerful words, through her music and pen, she manages to keep the team motivated and on track. Parth Singhania is a dedicated sportsman who loves the field and has a deep connection with it. He likeâ€™s to put in all his hard work into what he does. He loves working for the society and puts in his efforts for protecting and preserving it. 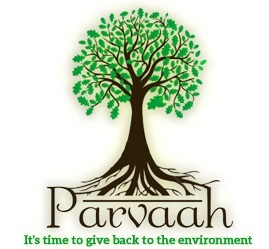 By joining parvaah his mission is to make a change and let this part of the society enjoy the same privileges. make people aware of the importance of personal hygiene. Arshi works to increase awareness and hopes for a brighter and cleaner world. Environmentalist, humanitarian and an animal lover. Isht Chaitkara is an activist who is deeply concerned for the welfare of the society. He is a national chess player which indeed has sparked his creativity, made him an anxious yes a patient learner, and enhanced his skills to plan and foresee the activities for the betterment of the society. His ambition and passion to organize and work for welfare for the society is of utmost importance. I am lucky and privileged to be leading a lifestyle where I don't lack for any basic requirements of a 21st century girl. As a good citizen, I am sympathetic towards the plight of the not-so-fortunate but, Parvaah has taught me to have empathy towards this section of society. Through Parvaah, I have moved from just feeling sorry for those people to actually empowering them to take care of themselves. I am a more enlightened being than before. And I am proud to say that it's made a better Indian too! Follow this less-than-perfect world through the eyes of Apurva, and you will surely dive into the unexplored, for she has a penchant for seeking the extraordinary amongst the very ordinary. Apurva can be best described using three words- thoughtful, hopeful and powerful. Not only is she always bursting with ideas, but is also available when one needs an ear to hear. With such a multi faceted persona, Apurva serves as a nimble hand molding a bright future for Parvaah. Extremely passionate about protecting the environment, Arnav is keen to create awareness about waste management and finding sustainable solutions for it. He always advocates against wastage of water or electricity, and has a strong sense of right and wrong . This has translated to him being an environment-conscious and proactive person. Armed with artistry and a propensity for hard work, Manav Kedia always tackles obstacles creatively and in an innovative manner. Intelligent and energetic, Manav inspires his fellow teammates with his energy whenever and wherever they set out to bring environmental concerns into the purview of society.A diligent, optimistic, and well organized student, Manav's renowned multitasking skills serve him well in his mission to spread awareness about the Parvaah initiative and the well-being of the environment to everyone. With his positive attitude and proficient communication skills ,Prafful works towards bringing together other schools and NGOâ€™s to collaborate with Parvaah and is also accountable for keeping an accurate track of Parvaahâ€™s funds and finances. His wish to bring a change in societyâ€™s mentality on paper wastage is driven by his hard work and consistent determination. Rupal brings in with her an air of compassion, warmth of smile, bubbles of laughter, yet a pragmatic approach wherever she goes. Behind that radiant smile lies an endeavoringpersona , who strives for nothing less than perfection. Her pragmatic approach bridges the gaps between the ideas and their viability . Also her presence in the team often brings deviated minds back on track and focus straight into its goals. Manan aims to advocate the maximum responsibility of the environment. He leaves no stone unturned in setting up and adding new initiatives to spread the cause Parvaah supports. Very diligent and dedicated towards this noble cause, he aims to evoke the concern of the environment in the minds of individuals. His professional abilities and persuasive coherences make him a perfect fit for the job. Manan is running from pillar to post to get things straight and set for the journey of Parvaah from his provinces to the outside world, beyond the horizons. A congenial personality with a creative knack of handling all situations Janisht recruits and instructs volunteers to help us achieve our goals. Being a people's person with convincing eloquence, he keeps the team motivated to reach greater heights. He endeavours to foster the planet through his efforts and hopes for a brighter and secure future of the world. He works to increase awareness about the significance of reducing, reusing and recycling. With his strong networks in the textile and paper industry, Ayush helps Parvaah associate and collaborate with schools and other NGOs. Good with numbers, he keeps an accurate track of the funds and finances. He is extremely passionate and works relentlessly to help Parvaah attain a global platform. Belonging to the heritage city of Jaipur, Parth is an enthusiastic freelance photographer. He is a firm believer in the idea that everything beautiful in its own way and that the simplest of things can enthrall. Parth is Parvaah's IT and design head who with his professional expertise captures those moments that captivate. 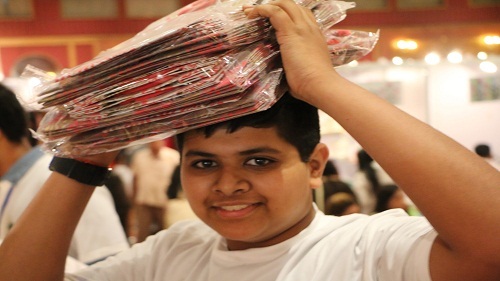 An avid artist, he pictorially depicts and spreads Parvaah's cause.